WOS scheme under Kiran division specifically addresses challenges confronting women in realm of Science & technology who had break in their career by providing suitable opportunities to return to mainstream science. This scheme specifically focuses on projects leading to S&T based solutions of societal issues and challenges for social benefits. Interested and eligible candidates can make DST Kiran 2018 Registration for Women Scientists Scheme-B before 5th November 2018. All the projects should deliver possible solutions by the way of development of viable technology / technique and /or lab to land technology transfer. The project is tenable for max. 3 years and basic research proposals will not be entertained. 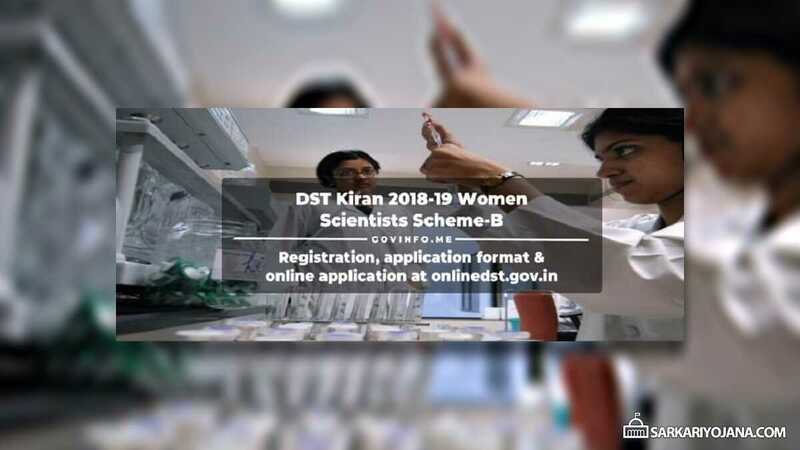 DST Kiran 2018 Registration for Women Scientists Scheme-B is open till 5th November 2018. Applicant women should possess qualifications in the science & technology areas and must fall in the age group of 27 to 57 years with break in career and interested in addressing well defined / identified social challenge through S&T interventions can apply online. Women who are currently working as regular / permanent employees are not eligible to apply online. The total project cost includes the fellowship of principal investigator (PI), consumables, travel, contingencies and minor equipments but excludes overheads.